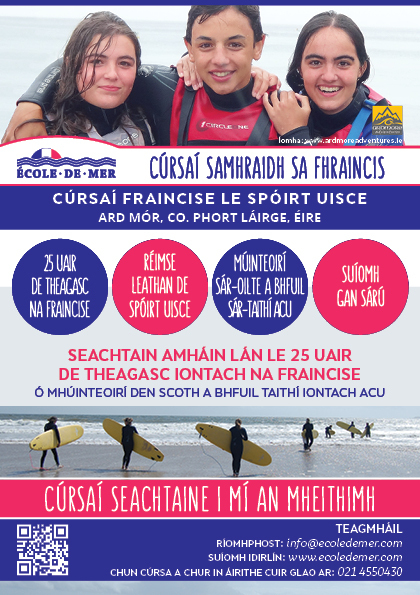 Ecole De Mer flyer design. 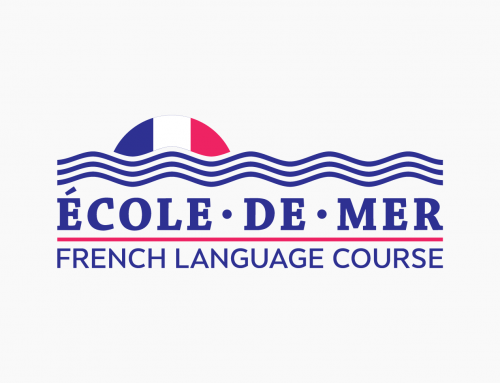 École De Mer is a residential one week French language course for 1st and 2nd years. Course location is in Ardmore – beautiful seaside resort and fishing village. Client wanted to stress sport activities available during the course. 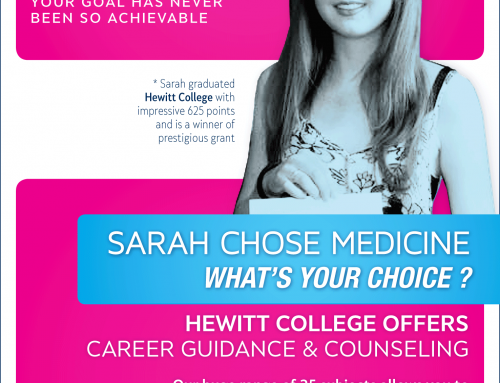 Flyer is a continuation of Ecole De Mer brand promotion. 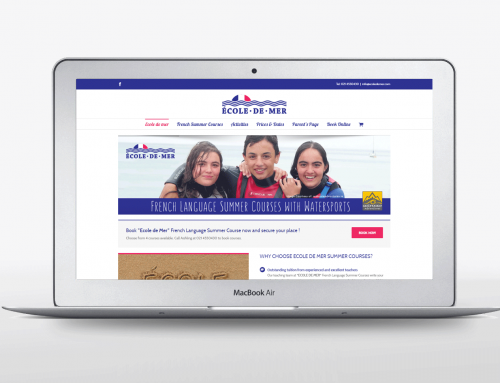 It was designed to promote French language summer courses and sport activities. 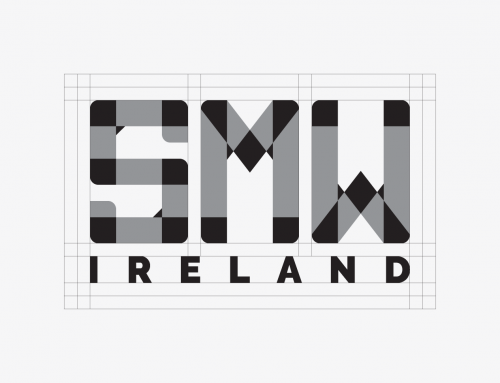 Flyer designed in two languages – English and Irish Gaelic.